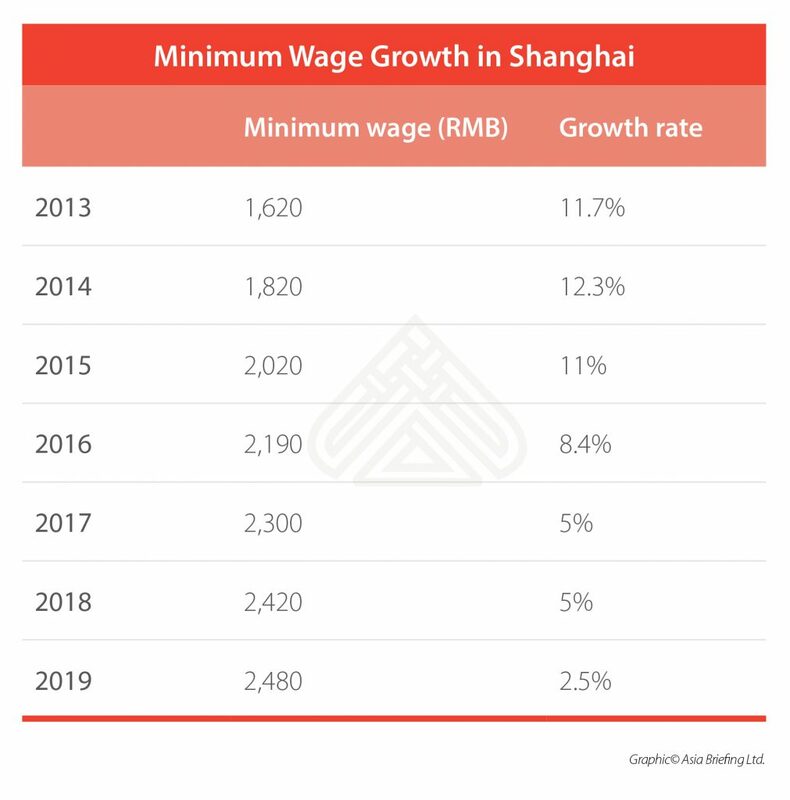 Shanghai’s minimum wage will increase on April 1, 2019. 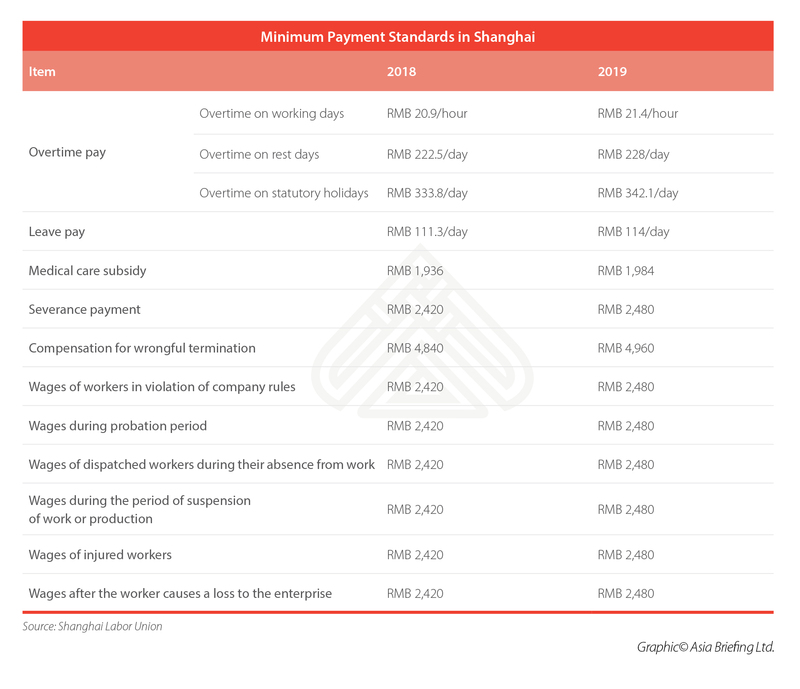 The city will raise the monthly statutory minimum wage for full-time workers from RMB 2,420 (US$360) to RMB 2,480 (US$369) and the hourly minimum wage for part-time workers from RMB 21 (US$3.12) to RMB 22 (US$3.27). 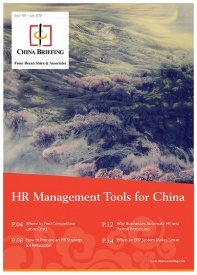 With the increase, Shanghai continues to have the highest minimum wage in China, followed by Shenzhen RMB 2,200 (US$328) and Beijing RMB 2,120 (US$316). As of February, the monthly minimum wages in Shanghai, Guangdong, Beijing, Tianjin, Jiangsu, and Zhejiang all exceeded RMB 2,000 (US$298). What is affected by the minimum wage increase? The minimum wage is just the basic wage that employers must pay their employees and does not include the social insurance premiums and housing provident fund contributions that they must also make for full-time employees. The monthly minimum wage also excludes overtime pay, night shift allowance, summer high temperature allowance, the special working environment allowance, and subsidies for meals, transportation, and housing. As the minimum wage rises, minimum standards for other employee benefits, such as overtime pay, other allowances, and subsidies, increase in kind. 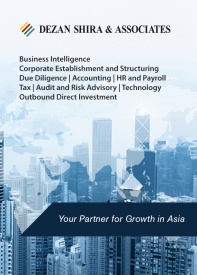 Shanghai’s updated minimum payment standards are as follow. Although Shanghai’s minimum wage is still the highest in mainland China, the monthly minimum wage increase of 2.5 percent is lower than in previous years. While the minimum wage is now growing from a larger base, the growth rate is half of what it was over the last two years. That being said, Shanghai – along with Beijing – tend to update the minimum wage every year to keep up with the high cost of living, both having done so each year since 2015. In contrast, some other wealthy regions, including Guangdong province, tend not to revise their minimum wages as frequently. 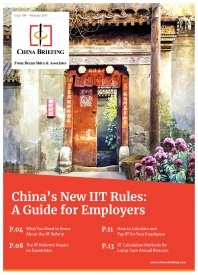 In general, regional governments in China try to strike a balance between raising wages for low earners and keeping costs for businesses low. This balance is especially sensitive in 2019 given the country’s slowing economy. The minimum wage adjustment will disproportionately affect private enterprises, especially small and medium-sized ones in the services sector. 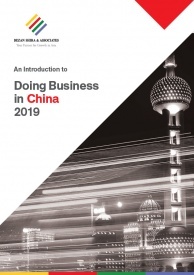 In light of these considerations, in December 2018, Shanghai issued “27 measures” to boost the development of the private economy. The measures aimed to “reduce the cost of factors, steadily adjust the minimum wage standard, and further reduce the proportion of enterprise social security contributions.” The lower minimum wage increase in 2019 can therefore be seen as the manifestation of the “smooth adjustment” tone. At present, stable employment is the top priority of the government’s economic work. The “smooth adjustment” is mainly targeted at those manufacturing and service enterprises sensitive to labor costs, as the government seeks to encourage firms to maintain employment and avoid layoffs at a time of economic uncertainty.